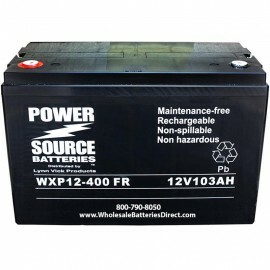 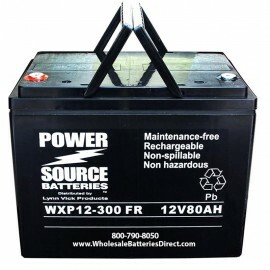 Power Source brand Ultra High Rate UPS Backup Flame Retardant batteries for Standby Emergency Critical Power are manufactured with 100% tank formed plates, 100% virgin lead, double pour epoxy terminal seals and ABS jars(casing). 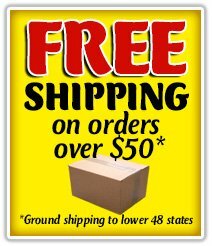 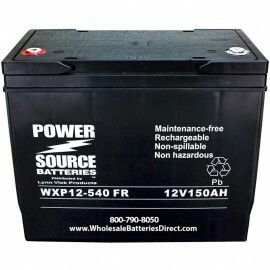 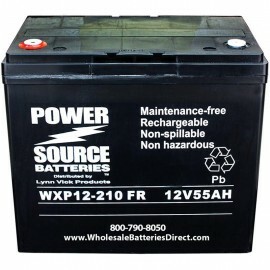 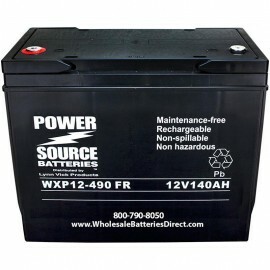 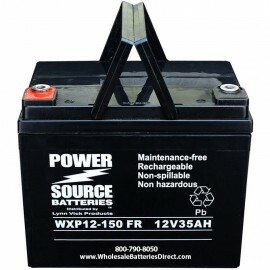 These Ultra High Rate Long Life UPS batteries have a 10-year design-life and 3 year full warranty. 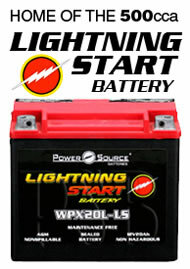 WXP12-150FR U1, WXP12-210FR Group 22NF, WXP12-300FR Group 24, WXP12-400FR Group 31, WXP12-490FR and WXP12-540FR are the appropriate Long Life batteries to replace C&D Dynasty UPS12-150MR, UPS12-140, UPS12-200, UPS12-210MR, UPS12-270, UPS12-300MR, UPS12-370, UPS12-400MR, UPS12-475, UPS12-490MR, UPS12-530, UPS12-540MR, CSB HRL12150W, HRL122200W, HRL122280W, HRL122390W, HRL122500W, HRL122500W, Eaton Powerware PWHR12150W4FR, PWHR12200W4FR, PWHR12280W4FR, PWHR12390W4FR, PWHR12500W4FR, PWHR12500W4FR and more.